The EK145 is a great system offering high performance thermal efficient u values. Available in double and triple glazing, the EK145 will achieve as low u value at 1.0w/m2k. 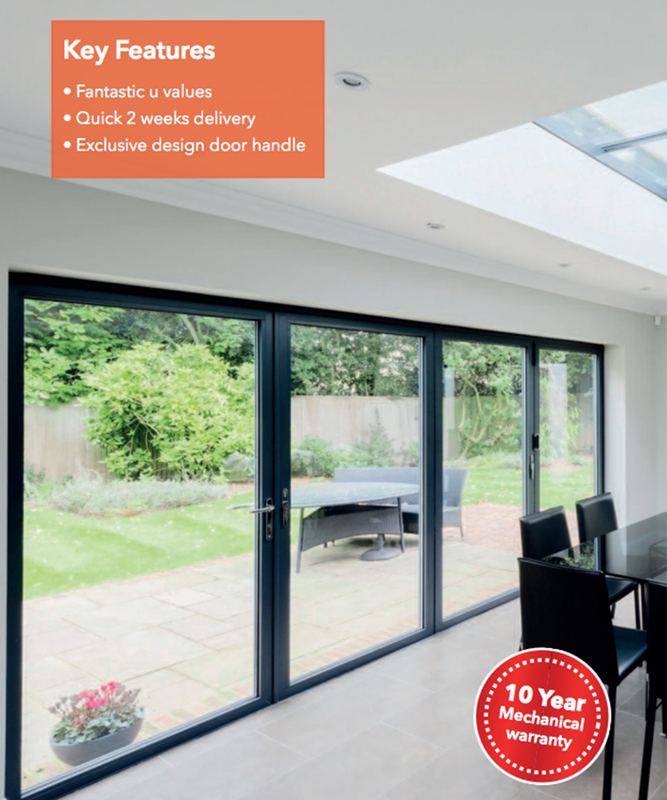 This system also offers the very best weather resistance of any bifold in the UK and complimented with a 10-year mechanical guarantee makes this Bi-Folding Door preferred choice by specification. To complement its many features, select one of the exclusive designed door handles or its unique range of glazing bead profiles to create that individual Bi-Fold look. This system can be delivered fully assembled for suitably sized Bi-Folds. Designed and manufactured in the UK, a standard EK145 can be manufactured & delivered in 14 days.